This was the beach about half an hour later, the sun now fully risen.. This entry was posted on June 3, 2013 by Chillbrook. 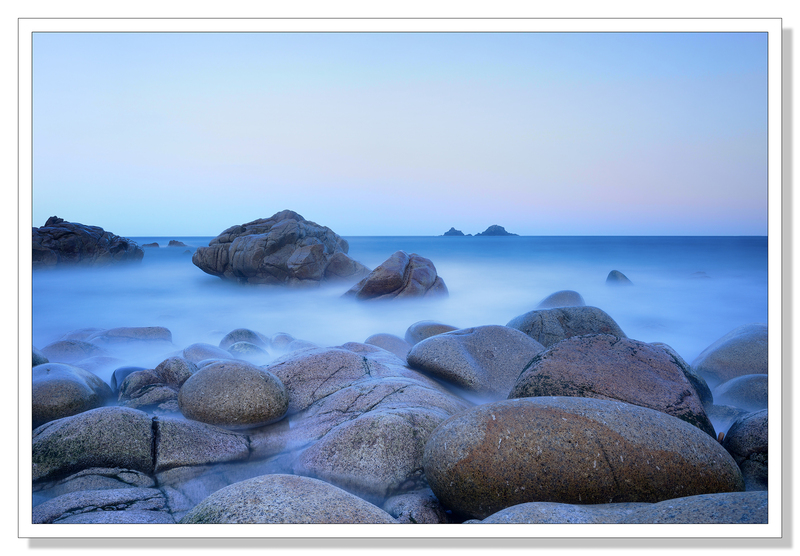 It was filed under Photography and was tagged with British Landscape Photographer, Cornwall, Cornwall Photographic, Cot Valley, England, Landscape, Landscape Photography, Long Exposure, Nikon AF-S 24mm f/1.4 G ED, photographs of Cornwall, Porthnanven. Nice. Getting low to the ground and having some of the rocks cross the horizon really adds to the depth of this image. Another lovely shot. Yes, you have to be very careful in this cove, Adrian. Especially when the weather is a bit stormy. I have seen rogue waves come in very quickly and as you know it is hard to find a stable position on those beautiful large rounded granite rocks. Thank you Malcolm. Yes, I definitely got the sense that under certain conditions the cove could be quite treacherous. Lovely photos, I love the colours in the long exposure, it has beautiful soft blue tones. Thank you so much Lou. So glad you enjoyed them. That long exposure is breathtaking. Even though it is so soft and misty, those rounded “pebbles” tell a story of being worn by water for centuries. Thank you so much Karen. It was an amazing place to be at dawn, totally on my own surround by these rocks worn smooth in storms that raged 125,000 years ago. Quite a moment to reflect. Great shots! I always love the effect of a long exposure on water. It gives the photo such a magical feeling. Love your pics, Adrian. Glad you retreated in time. Those rocks look rather slippery. Wow! That image is so peaceful that it is hard to imagine the waves crashing. I will second Malcolm’s concern with your safety. We have totally unpredictable rogue waves out here, too, and it looks to me like getting up out of that cove might be a bit tricky if required. But the shot was truly lovely…. just be careful! Wonderfully mystical ChillB … I feel like I am floating among those boulders of times of unimaginable age. You’ve managed to capture a scene that encompasses serenity, timelessness and awe . What more is there to be said . That is amazing Adrian! You certainly took wonderful advantage of the light at that time. Thank you very much Phil. Much appreciated. The first picture is really good. I’ve been to Cornwall twice and it’s a beautiful place. Beautiful. I love those long slow shutterspeed shots of yours amongst the rocks. (Gotta watch that incoming tide, though – wouldn’t want to get cut off and get the camera wet). Thank you Norma. Much appreciated. Great shot, loving the soft, fluffy sea! Where is Captain Jack Sparrow and the Black Pearl? Looks like he would like to dock here! Great work! Thank you. 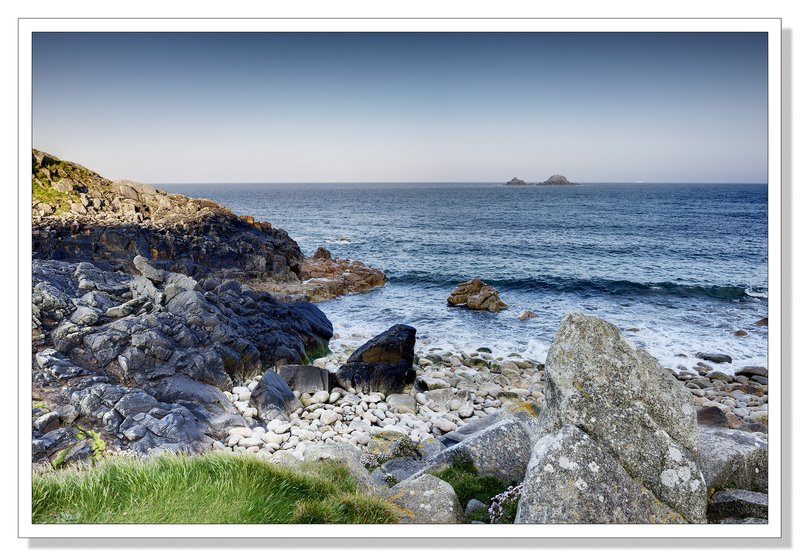 Yes there were definitely a few pirates and smugglers making use of the many small coves in Cornwall once upon a time. Perhaps they still are.. Particularly the first photographs is marvelous. The time exposure, the monochromatic blue colour and the the strong composition, makes this into an exquisite image. I really love it. Very nice work, Adrian. Oh, it absolutely makes sense – and what you say certainly reflects in your picture. And you deserve that! You’ve become a master at recording your environment in all its glories and subtleties.